20 Delicious Mexican Inspired Seafood Holiday Appetizers | Mexican Appetizers and More! Get inspired this holiday season with these 20 Delicious Mexican Inspired Seafood Holiday Appetizers. Find delicious clam, shrimp, calamari, lobster, mussels, scallop recipes and savory seafood soups to share along with your love ones this holiday season. These recipes are all hyper-delicious and easy to make. 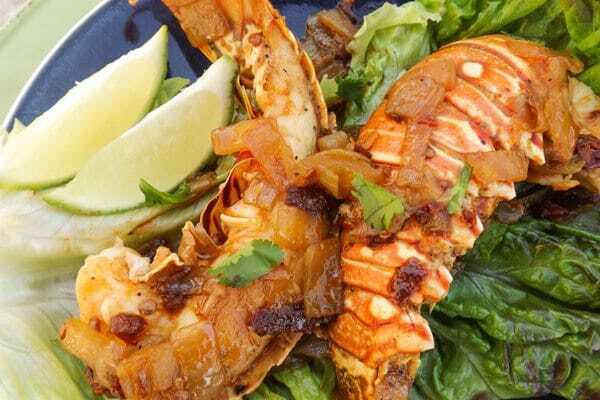 Enjoy a stress free holiday with these amazing Mexican inspired seafood appetizers. If you have been visiting Mexican Appetizers and More throughout the years or know me at all, then by now you know how much I love seafood! No other food makes me happier than a plate of practically any seafood! That’s why I have compiled a list of the best 20 appetizers from Mexican Appetizers and More for this holiday season for you and your family to enjoy. This Mexican Bruschetta Recipe is made with a fresh guacamole, tomatoes, red onions, jalapeños, garlic, cilantro, lime juice, topped with queso fresco, savory cooked shrimp (shrimp optional) on top of toasted French baguette. Excellent starter to any meal this holiday season. 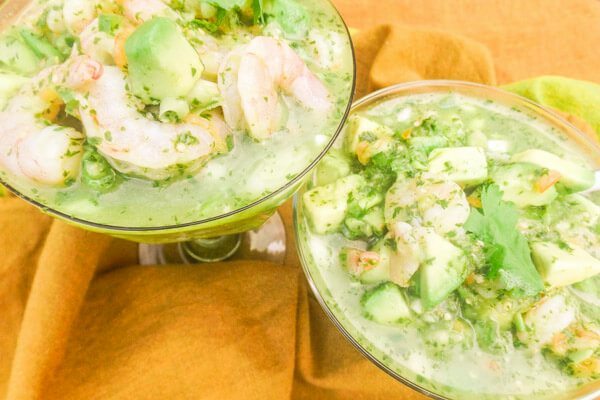 Ceviche Verde-Green Ceviche! Made with shrimp, fresh tomatillos, habanero peppers, serrano peppers, scallions, garlic, cilantro, avocado and fresh lime juice. Hyper delicious Mexican appetizer! Serve in a large bowl and offer self serve to guests or serve in individual shot glasses. Excellent appetizer. 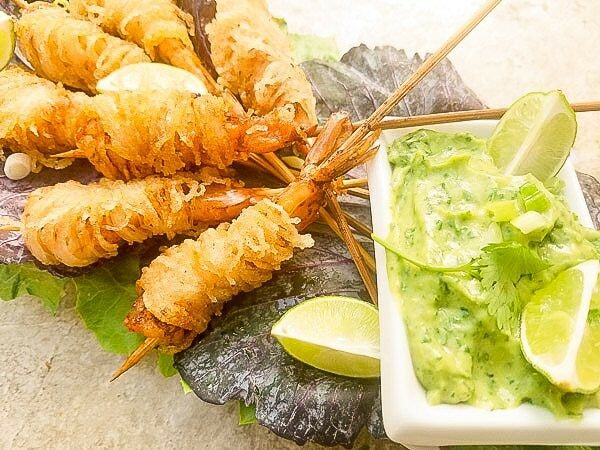 These Pinchos de Camarones (Skewered Shrimp) wrapped in rice noodles are served with an avocado jalapeño dip. Excellent appetizer and perfect for this holiday season! 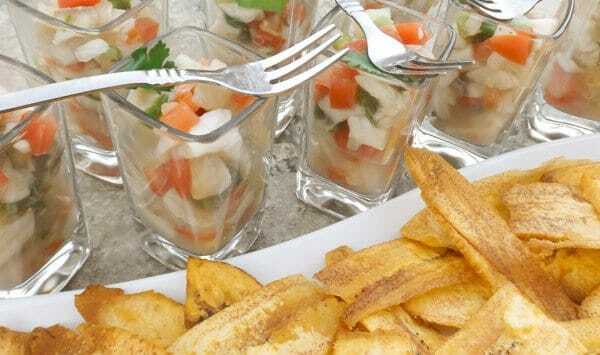 This Tilapia Ceviche is so delicious and refreshing. The tilapia is cooked and marinated in fresh lime juice with cucumbers, tomatoes, onions, jalapeños, garlic, cilantro, scallions and served with crispy plantain chips. Excellent! These Grilled Shrimp Wonton Baskets are easy to make, quick and hyper-delicious. 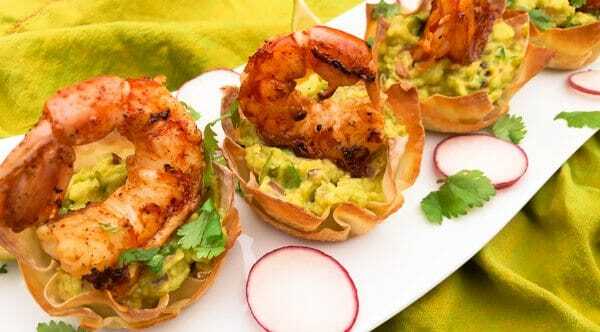 Chipotle chili powder seasoned shrimp sits on top of a bed of creamy guacamole and served inside a crispy wonton basket. Elegant little Mexican appetizer and just perfect for the holiday festivities. 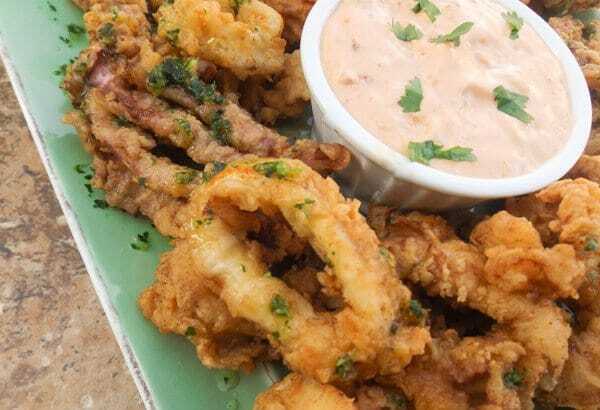 The most perfect crispy and tender Fried Calamari served with Creamy Chipotle Sauce. Fried to golden perfection. Excellent! 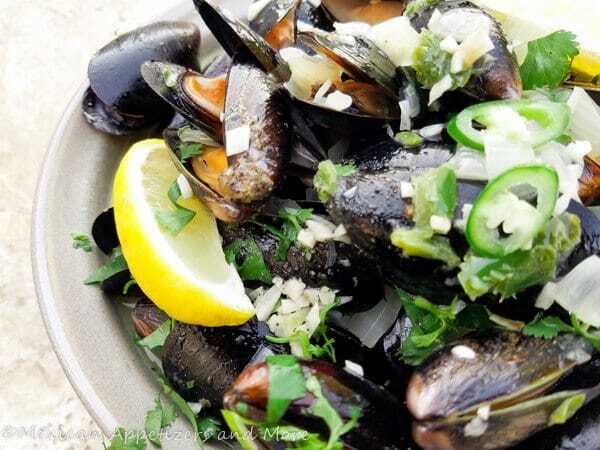 These Spicy Mussels in White Wine Sauce are made in a savory white wine serrano garlic butter sauce. The serrano offers a subtle amount of heat that enhances the flavor of the mussels. Excellent appetizer and perfect for the holidays! Love Mexican Sopes? Then you will love these Chilapitas Mixtos! This is a ceviche, beef and chicken Mexican sampler appetizer. Make all three for a variety sampler or choose one or two! Or stick solely to the seafood chilapita! Deliciously light and so full of flavor! Excellent appetizer! Thinking about maybe starting with a soup? This Sopa de Camarones is excellent! 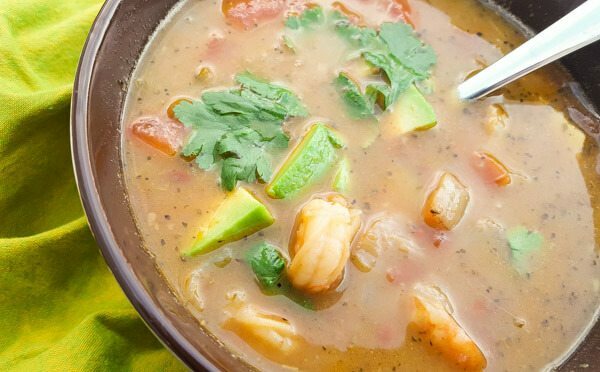 Soup has plump fresh shrimp, pinto beans, roma tomatoes, onions, chile serrano pepper, fresh garlic, cilantro, smoky Mexican spices and topped with avocado cubes. Or maybe you would like a creamier soup to start with this holiday season! How about this Shrimp Bisque?! This bisque is perfect everytime! 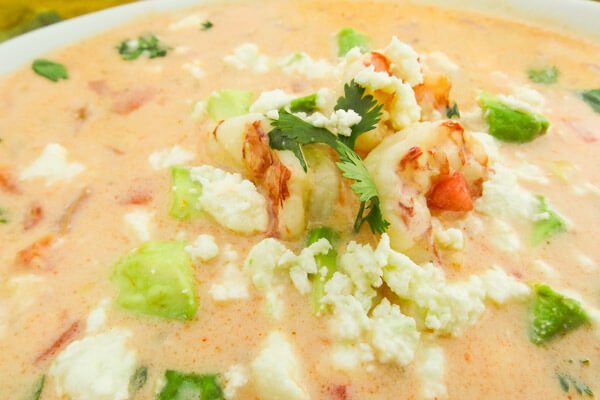 Made with tender plump shrimp, (quick) homemade shrimp broth, onions, plum tomatoes, garlic, dry sherry, heavy cream, butter, cayenne pepper, cilantro, topped with avocado cubes and queso fresco. Hyper-delicious, savory and creamy bisque. Excellent! 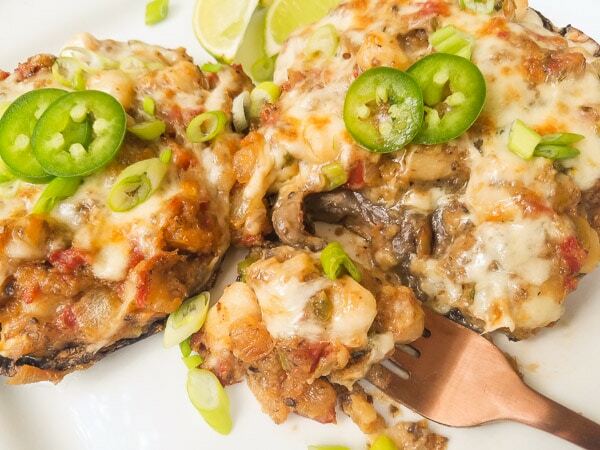 These Baked Mussels recipe (Mejillones Asados) topped with a sliver of serrano pepper are absolutely delicious and incredibly easy and simple to make! Made with fresh breadcrumbs, fresh garlic, olive oil and white wine. A delicious combination of seafood meets guacamole. 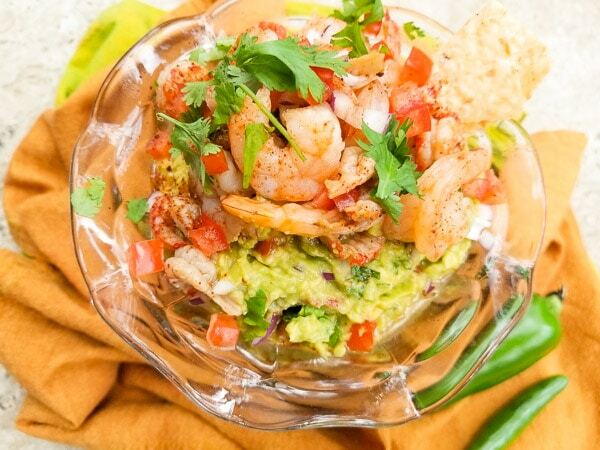 Serve this Seafood Guacamole with tortilla chips and have yourself an excellent appetizer. 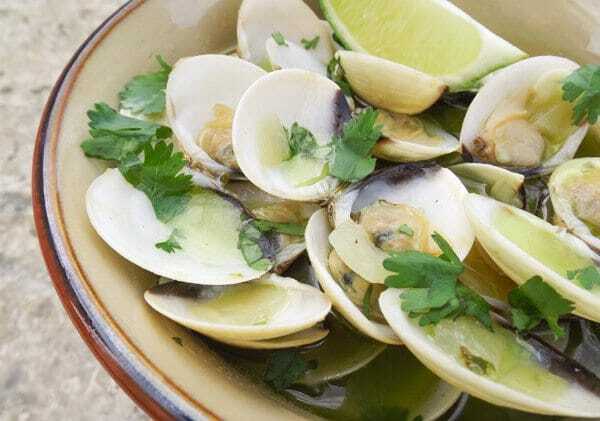 These Baby Clams in Serrano Sauce are deliciously flavored and cooked in a fresh garlic serrano sauce. Another delicious seafood appetizer! Absolutely perfect!! These Camarones Fritos con Crema de Chipotle is a truly perfect appetizer anytime! 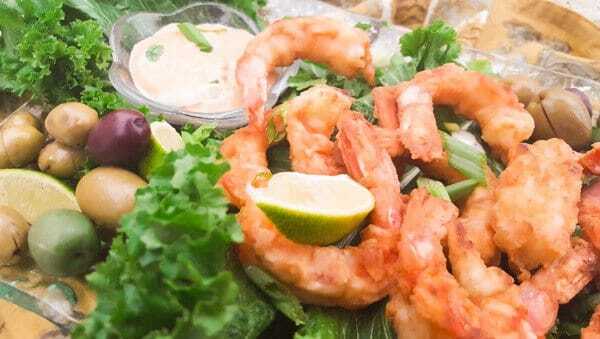 Why not add this easy seafood recipe to this years holiday festivities. These shrimp are marinated, then fried and served with a creamy chipotle sauce. 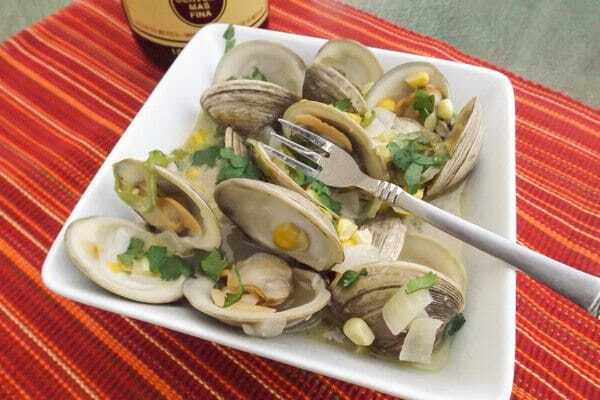 These Mexican Beer Little Neck Clams are cooked in their natural juices, Mexican beer, jalapeño peppers, onions, corn, parsley and butter. Absolutely delicious! These Chipotle Lobster Tails are so succulent and delicious. Cooked in a savory chipotle garlic broth. Excellent! 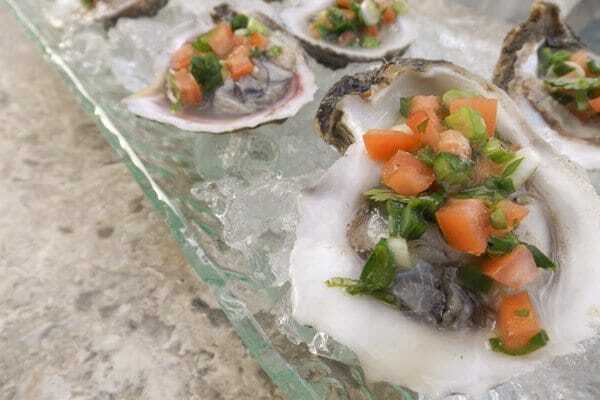 These Yemaya’s Oysters named after the Goddess of the Sea are simply delicious! Freshly shucked oysters and topped with simple ingredients. Oysters on the half shell, true oyster perfection! 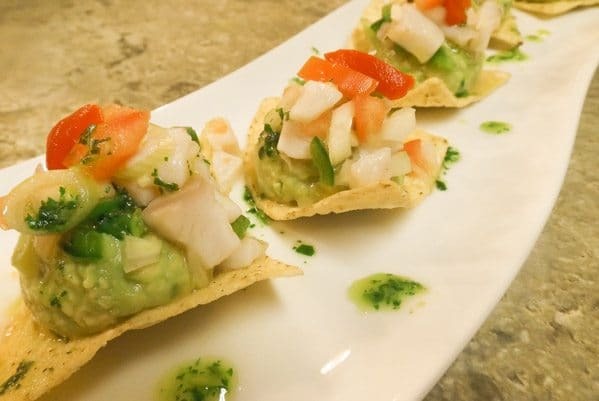 This Tilapia Ceviche with Guacamole and Tortilla Chips is a superb appetizer. Creamy guacamole, succulent tilapia ceviche and red pimientos on top of a tortilla chip. Absolutely delicious! This Salpicón de Mariscos (seafood medley/seafood salad) is so delicious and so pretty. I made mine with mussels, shrimp and scallops. Serve in a large pretty bowl with tortilla chips or place in phyllo cups. There you have it! 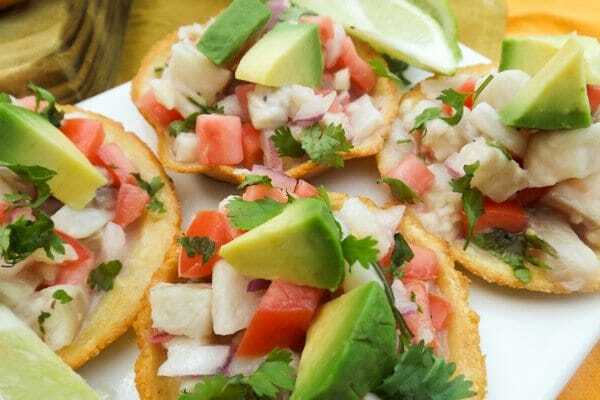 Some of the best seafood appetizers from right here Mexican Appetizers and More! 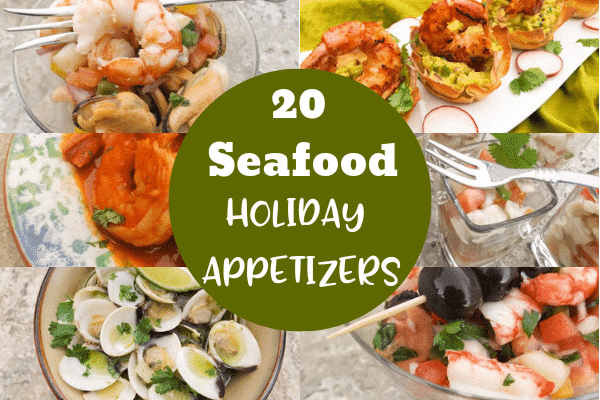 Hope you enjoy these delicious seafood appetizers this holiday season and more to come! For even more delicious seafood treats, click here. This post is like a gold mine! Only with food ideas instead of gold haha. I love Mexican food, I’m totally saving this for later. Haha, thank you Laura! I like that, “like a gold mine!” Love, love, love seafood! Haha, this list is my gold mine! Thank you Shohinee Deb! 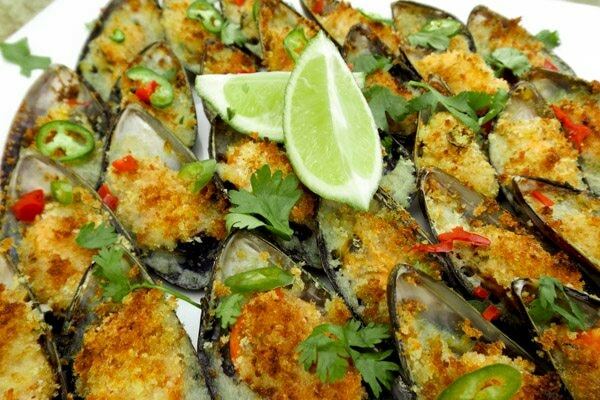 You will love these seafood dishes! Happy holidays! Uh yum these all look so good!! 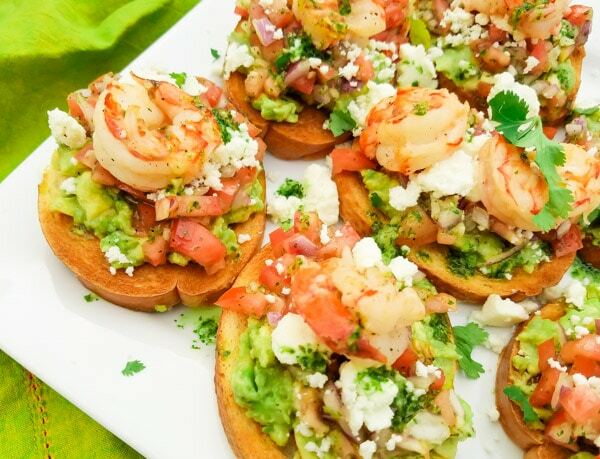 That Mexican bruschetta with the little shrimp on top is calling my name! I just got a bag of shrimp so I may have to make them! Thanks for sharing- I had to pin the post, of course. I’ll have to come back to it to try some more recipes!